The use of green fillers depends upon their availability. Green leaves are used for better arrangement of flowers. Roses are known as the most used flowers in the world. Looking forward to express your heartiest feelings to your loved ones on this special day of yours. 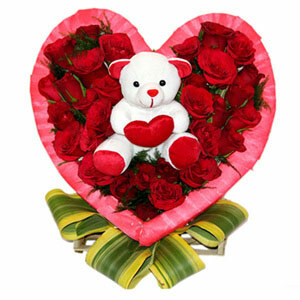 What could be better than this heart shape flower arrangement to express your heart’s emotions? 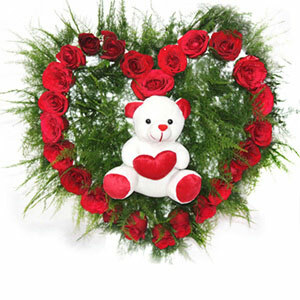 They will be delighted on receiving this wonderful gift from your side and will definitely understand your emotions. 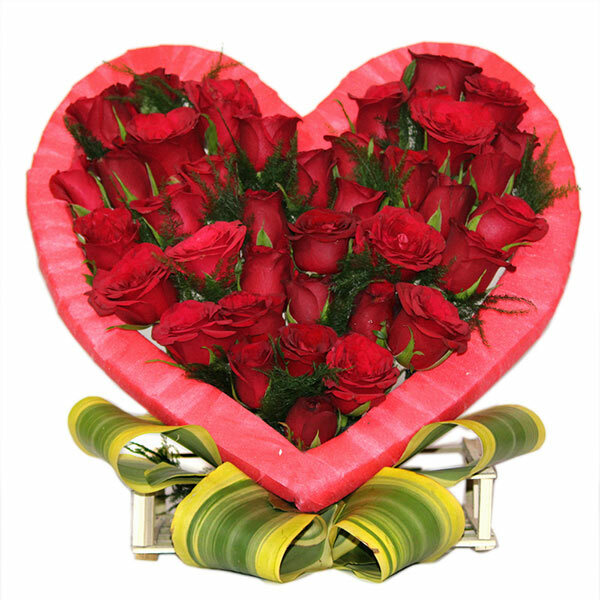 So, on this special day of yours gift this heart shaped arrangement of 24 red roses to convey your message in a more romantic way. In total the flower arrangement was received good and same but it would have been great if there could have been more finishing in its making.